Description: Peas is a “controversial” vegetable. I call it “controversial” because everything from his origin to his name is been claimed by different civilization. Some says that peas originated in Northeast India, China while peas were also found in excavations in Switzerland dating to the Bronze Age and in an Egyptian tomb at Thebes so no one clearly knows. 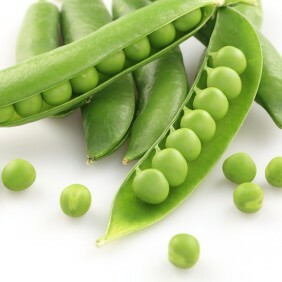 Also the word 'peas' is derived from Sanskrit while others says that it’s derived from the Latin 'pisum.' The Anglo-Saxon word for peas was 'pise' or 'pease'. Peas can be divided into three general categories: whole pea pods eaten young and fresh, shelled peas eaten fresh and shelled peas that are dried.  .
Fresh green peas are very good in ascorbic acid (vitamin C), phytosterols especially ß-sitosterol, vitamin k & vitamin A.